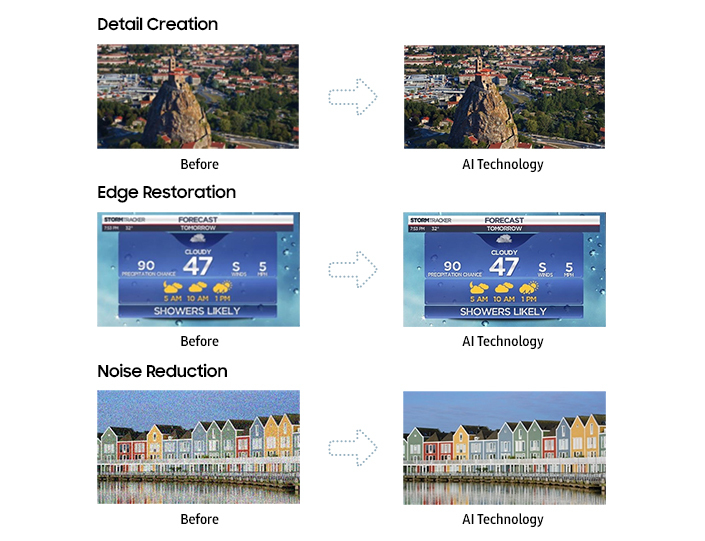 Uniquify’s next generation Display Processor (TCON) products employ video processing advancements from artificial intelligence (AI) and machine learning (ML) technologies. 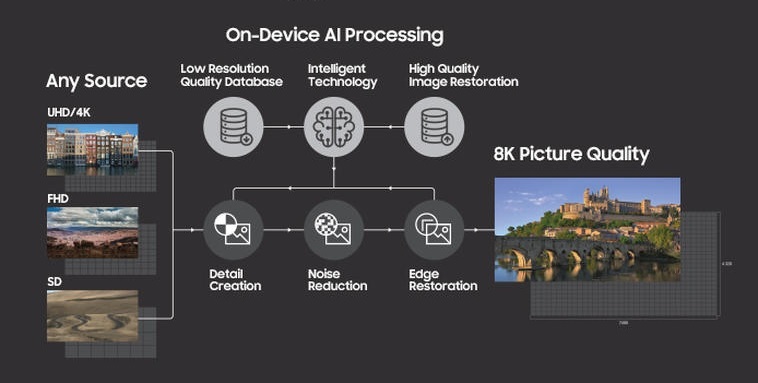 AI technology analyzes content and automatically upscales FD/HD/UHD video into 8K picture quality and lets consumers enjoy streaming video or TV broadcasts in 8K resolution regardless of native resolution or transmission rate. AI Technology analyzes millions of images to create the optimum filter to transform low-resolution content into high-resolution video images. Details are recreated, crisp edges are restored and picture noise is reduced.